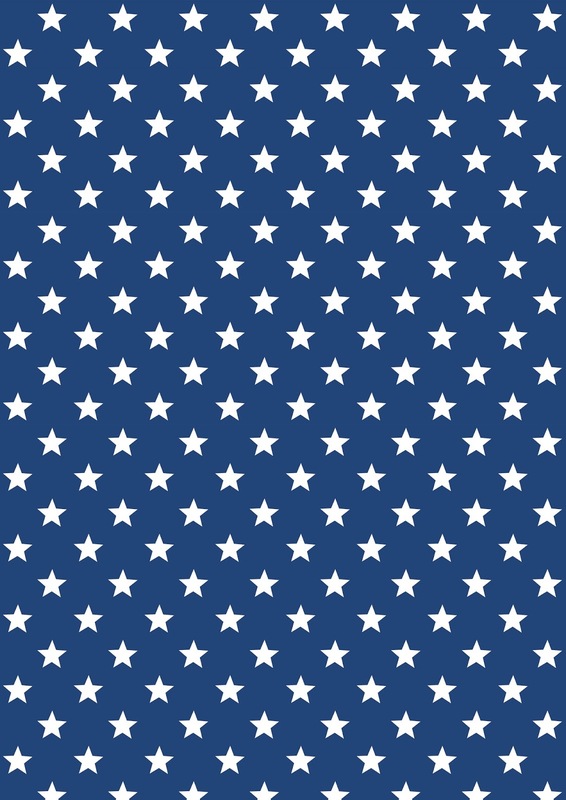 Download the banner template for the stars and stripes design and print as many pendants as you wish. For this banner 3 stars flags and 3 stripes flags were printed on 6 sheets of white letter card stock to create a banner that was 5 feet and 5 inches long. Using scissors cut out all the printed flags into triangular shapes. At the top of each flag punch two holes that are evenly spaced apart in the middle of the flag using a single hole punch. Cut a piece of twine or string long enough to hang in your desired location, for our banner our string was 5 feet and 5 inches long. Taking the cut twine weave it in and out of the two holes on the top of the flags. 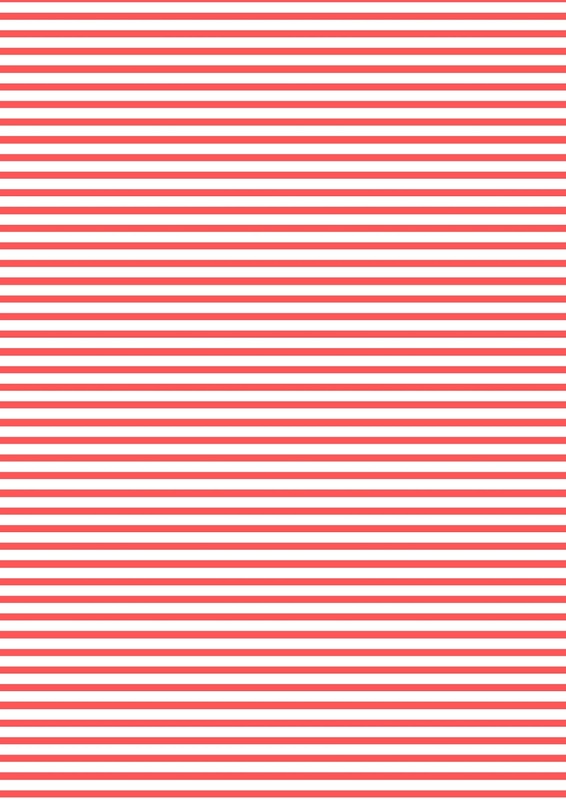 Alternate the star and stripe flag designs to create a beautifully patterned banner. Hang both ends of the banner by tying them to objects such as two posts on a fence, or by taping the ends of the twine to a wall. After the twine has been hung space the cut flags so that they are equally spaced. 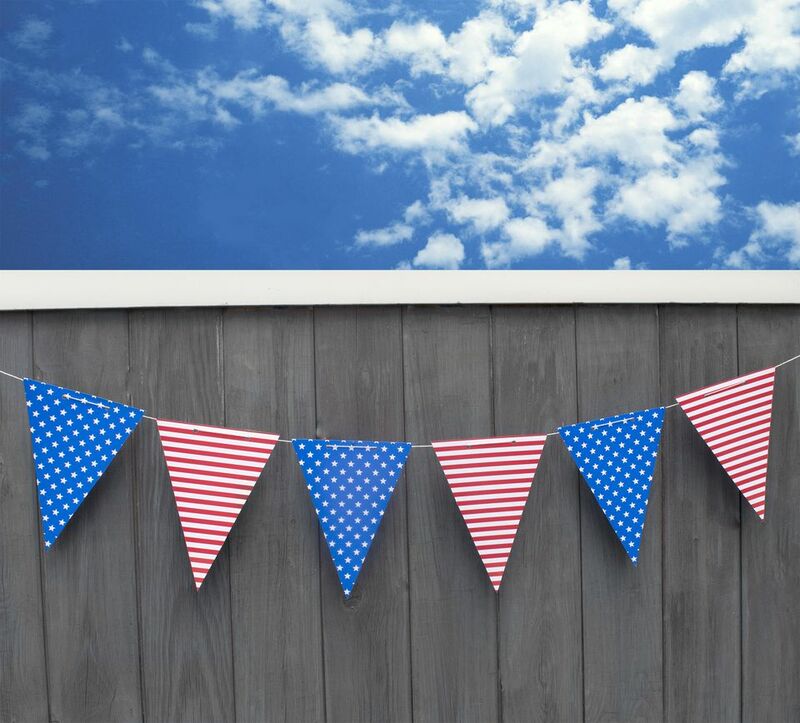 After your 4th of July celebrations you can take down the banner and stack the flags on top of each other and wrap the excess twine around the cut flags to store your banner for the following 4th of July.